Liberec (ˈlɪbɛrɛt͡s, German: Reichenberg) is the fifth-largest city in the Czech Republic. 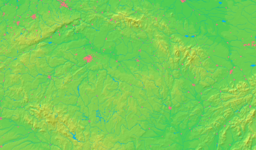 It is on the Lusatian Neisse and surrounded by the Jizera Mountains and Ještěd-Kozákov Ridge. This page was last changed on 26 August 2017, at 01:40.